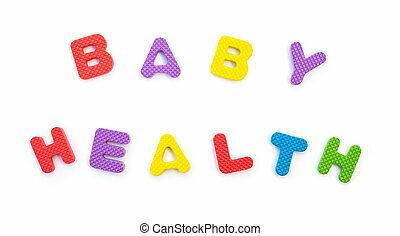 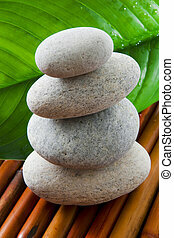 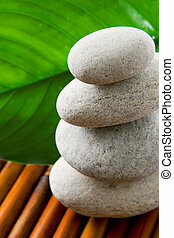 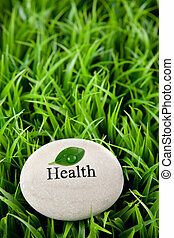 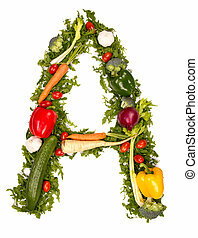 Alphabet of health. 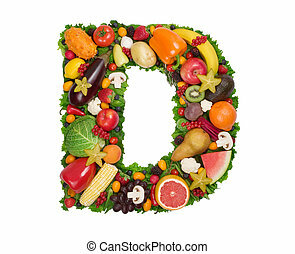 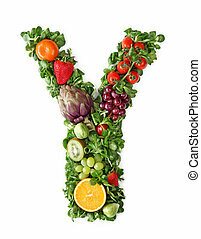 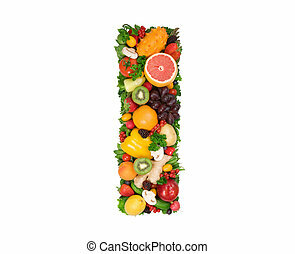 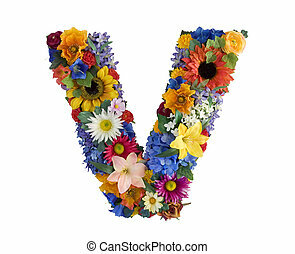 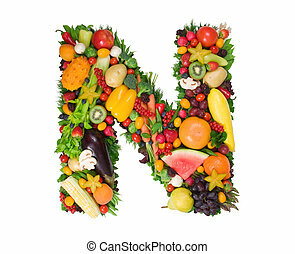 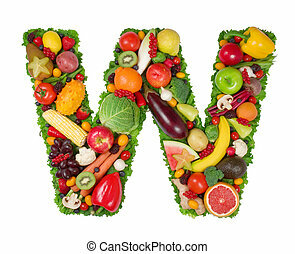 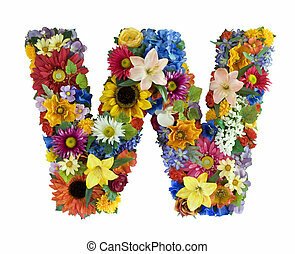 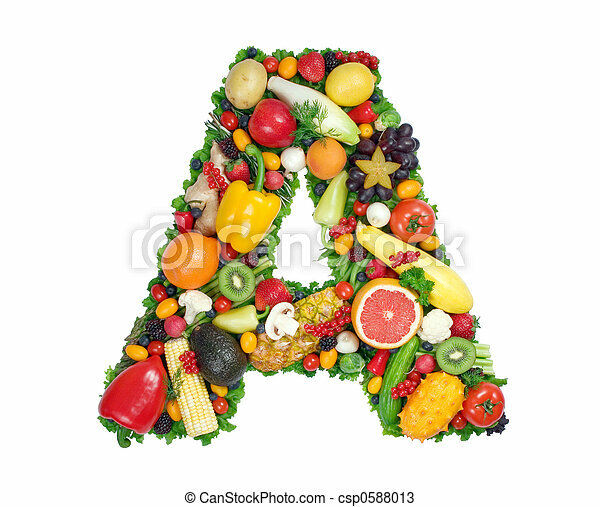 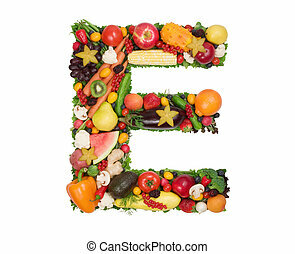 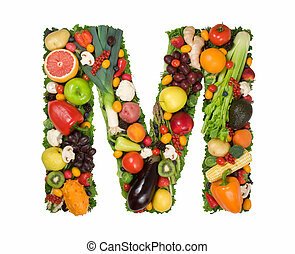 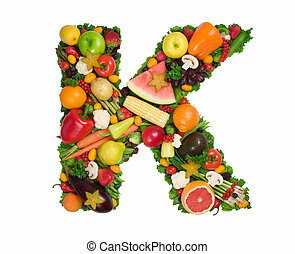 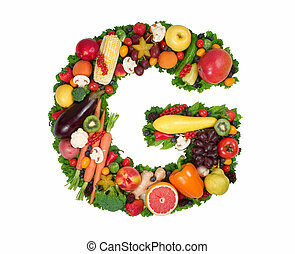 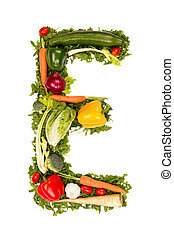 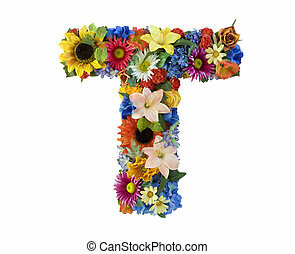 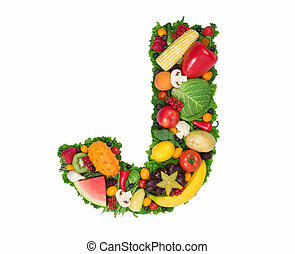 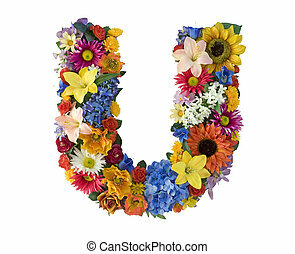 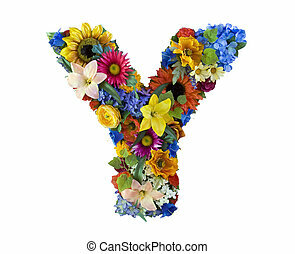 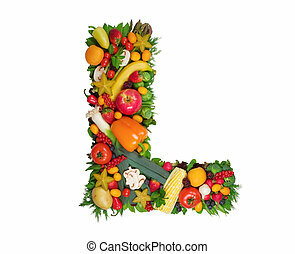 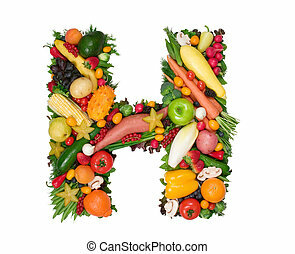 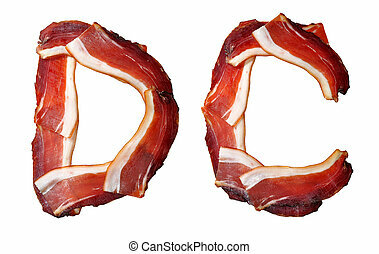 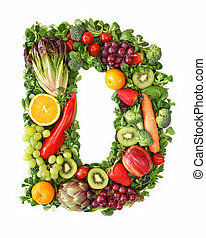 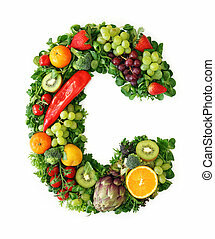 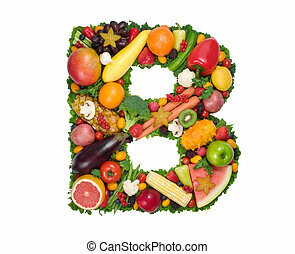 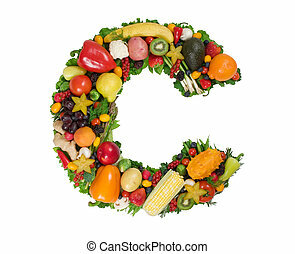 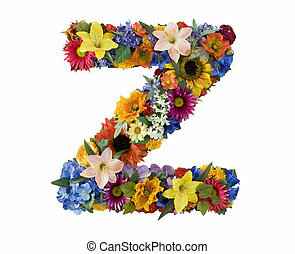 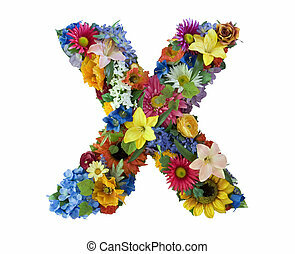 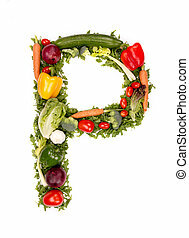 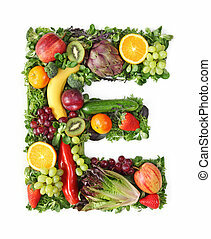 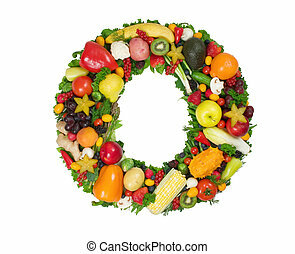 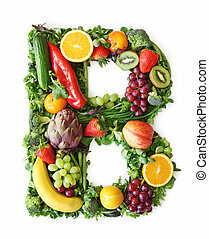 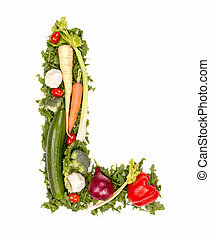 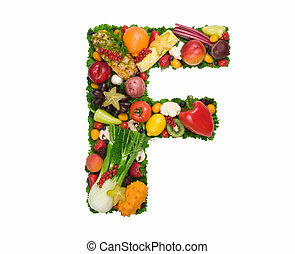 Letter a made of fresh fruits and vegetables. 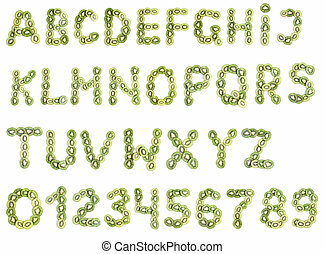 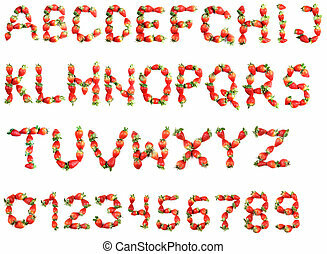 Alphabet From Fruit. 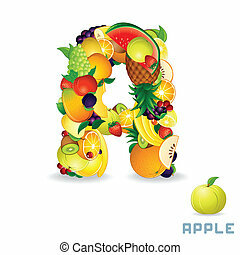 For Letter A Fruit is Apple.